One of the great pleasures of journalism is that it allows one to encounter people with a wide variety of interests who can then share with us their passion, knowledge and original outlook on a given subject. When that subject in question happens to be related to one’s country and history both of which we think we are familiar with, it is all the more refreshing to find out how little we actually knew and how much we still have to discover. It is all the more flattering when someone deemed a foreigner showers you with such a deep knowledge and understanding of one’s rich heritage whilst managing to connect it with that of his or her own country’s equally rich history and culture brought together in a universal bond, thanks to years of research, travel, personal and academic experience. 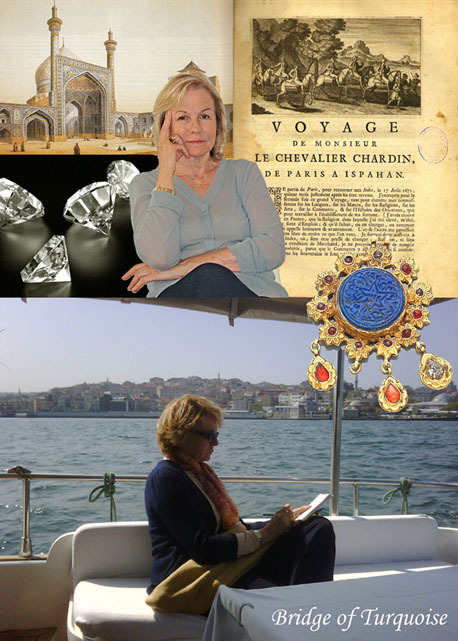 This was the impression I got after meeting French novelist Mrs. Danielle Digne whose passion for history, thirst for adventure, and far away lands, particularly Iran (Once Known as Persia) prompted her to write about the real life adventures of Jean Chardin, one of the most famous French travelers and Jewel Hunters of the 17th Century. A man of many talents to whom historians owe much for his descriptions of Persia under Safavid rule at the time of Shah Abbas II as well as that of his son Shah Soleiman III. During his time in Isfahan he became intimate with the city; he was invited into people's houses and entertained; he visited gardens and participated in hunts; his knowledge of court affairs was extensive, and he travelled many miles, visiting other towns and villages. Chardin's accounts and sketches are invaluable sources of information for all those interested in Middle East history, and they provide a vivid portrait of life in seventeenth-century Persia. “The Jeweller of Isfahan” is the third novel by French author Danielle Digne which is due for publication soon. Her two previous novels are Misha, l'enfant divorce (1999) and Nicolas Paquet, 1831-1909 the latter of which is also based on a French ship owner and traveller at the turn of the 19th century. 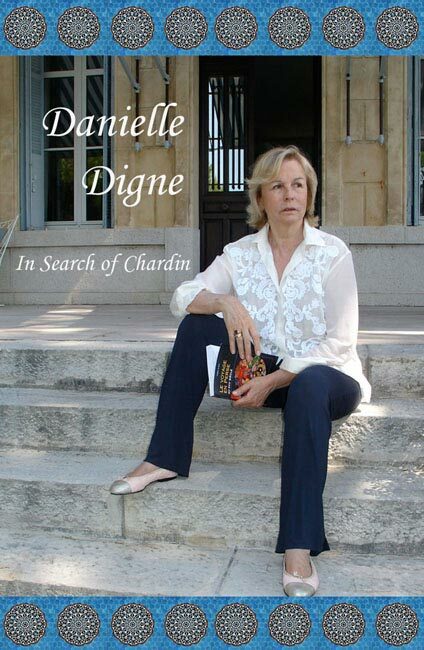 I had to pleasure of interviewing Mrs. Danielle Digne on her novel and background during a recent trip to Paris. Darius KADIVAR (DK): Your novel can be read on several levels: as an accurate historical account, an adventure story, but also a romantic love story. Where does your own love for all things Persian stem from? Danielle DIGNE (DD): Initially thanks to personal acquaintances. I actually met my first “Persian”, if you will, at the French AFP reporting department of an institution for which I was working for at the time. He was an elderly man, who at first glance, seemed rather lonely and gloomy. Once I got to know him he proved to be quite the opposite. Hence I discovered a cheerful and sophisticated man. He spoke about Iran with great emotion. Through our conversations I got to appreciate his culture and knowledge and we became friends. As a former ethnologist and political refugee he triggered my interest and curiosity on a world which was initially totally unknown to me. My interest hasn’t ceased since. What prompted you to center your novel on Jean Chardin’s travels in particular? DD: Travels developed considerably throughout the 17th century. Scholars and merchants often accompanied missionaries on their religious itineraries. I was familiar with Jean Baptiste Tavernier who had travelled six times to the Orient. Although he was a respected and high profile merchant in his times, I wasn’t much seduced by his reckless personality nor his travel diaries, which seemed rather confused and unreliable. He was indeed the first European who discovered the diamond rich mines of Golconde in 1638. On his way he stopped in Persia and became an intimate friend of the Shah with whom he would negotiate on jewel transactions. Once back in France he became King Louis XIV’s official Jeweller to whom he was to sell some of his most famous gems. I discovered Jean Chardin’s name by coincidence in a dictionary of biographies. I learned that just like Tavernier in 1665, but barely at twenty one years of age, Chardin also went as far as India in search of rare diamonds. I was immediately intrigued all the more that this young ambitious man had written many books on Persia with great detail and accuracy. After reading one of his books I was puzzled. I needed to know how a young French Protestant Jeweller was able to become an expert on Persia and publish a first book in 1670? I was soon tempted to write a historical novel based on an elegant young man, cultured and sophisticated. I followed his steps so as to discover the kingdom through his eyes and descriptions. Needless to say that I couldn’t have imagined that my passionate work would take me ten years to write. DK: Historians are indepted to Chardin’s depictions for much of what they know today on the Safavid Era. You based much of your novel on accurate historical depictions by Chardin and other Orientalists. How much of the characters in your novel truly existed and which one’s are a product of your own imagination? I weaved my plot around a sentence written by Chardin: " The wise Mirza Chefy gave me part of his diaries " . Based on what I knew of Soufism, I therefore imagined that the two characters were bonded far more profoundly. I think this intellectual relationship contributed to giving more depth to the novel. All the other characters like Haroun Aly, the Caravan chief, Mollah Hisham, Shirin the courtisane, the astrologer Mirza Baker, Shazdeh the son of Mirza Chefy just to name a few, were all the fruit of my own imagination. DK: After visiting Iran quite recently (for obvious needs for research and inspiration in writing this book) what similarities and differences do you see between 21st Century Iran and 17th Century Persia? DD: Obviously given that I had barely 15 days to travel from Tehran to Shiraz, and despite a knowledgeable guide I cannot say with authority that I was able to evaluate Iran and Iranians to the fullest. Yet I did get a feeling for what Chardin rightly observed as " Le Genie Persan " aka " The Persian Genius " which characterizes the soul of this great nation. 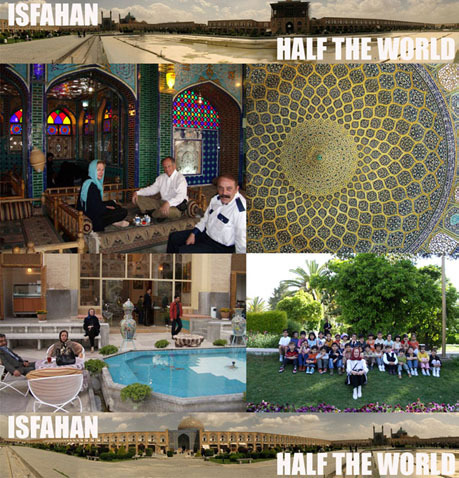 You Iranians have a great sense of hospitality, a natural sophisticated instinct, a spiritual fatalism, a genuine taste for life and great resourcefulness. Persians know how to pull it through despite the obvious lack of freedom. Chardin claimed it is difficult to do business with Persians. Given my short stay, personally I am not able to confirm this observation, but overall, despite the ups and downs of history, I did not see great differences or contradictions between the past and the present. I hope to return to Isfahan in a near future. DK: Your novel highlights the many interactions between Safavid Persia and the Royal Court of Louis XIV France. Why was an Alliance with the monarch of such a far-fetched land, like Persia, so important to the French diplomacy and commerce at the time? DD: In 1662, Louis XIV gave a huge party at the " Carrousel du Louvre ", followed by a parade in presence of a Persian Regiment. 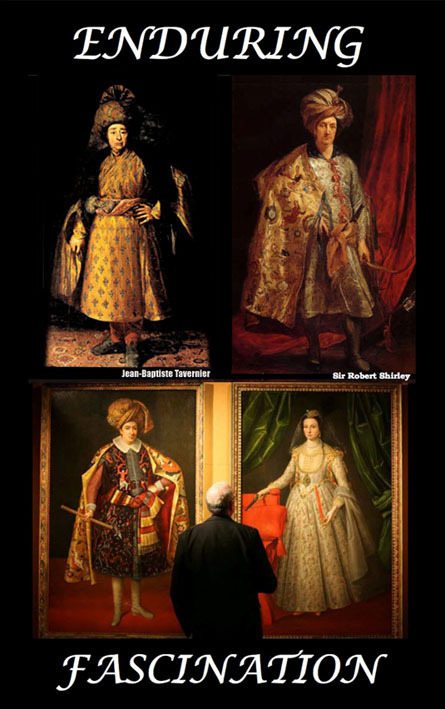 Tavernier must have boasted about the splendors of the Persian court. It seems that Shah Abbas and the King of France shared a mutual admiration for one another, all the more that the former wished to impress his Turkish neighbors and Monguls by sealing an alliance with the King of France. On the other hand France’s relations with the Ottoman Empire were particularly difficult after the death of Francois Premier. Relations with Persia however were essentially commercial, thanks, to the inception of " La Compagnie des Indes orientales " aka " The Company of Oriental India ". 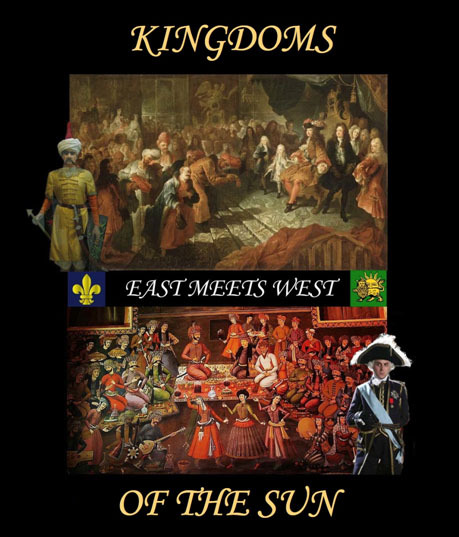 In my novel I actually describe a meeting between Shah Abbas II and one of Louis XVI’s ambassadors. A commercial treaty was drafted in 1708, but it was signed only a month after the King’s death in 1715. As a result it never took effect. However the presence of Persian ambassadors in France, did launch a fashion, which became known as " Le gout persan " aka " The Persian style ". DK: 17th Century France and Persia seem to share so much in common: A refined and sophisticated people with an eye for beauty, yet ruled by despotic monarchs, surrounded by insecure boarders and warmongering temptations in an age of religious intolerance. DD: Given his own Huguenot roots, Jean Chardin also suffered from persecutions in France. He was therefore sensitive to the fact that Shah Abbas II was tolerant towards Christians in general. His personal account was my only source in this regard. I have little reason to doubt it. We should however remember that non Muslims often paid a tax in exchange for the crown’s protection. Therefore it must have been an important income for the royal treasury. Finally, I believe that the gradual decline of the Safavids, started with Shah Abbas’s son Soleiman. He was a weak and cruel King who greatly neglected the affairs of his realm whilst influenced by the conspiracies within the harem and by religious zealots amongst his courtiers. DK: On the Onset of his long trip to Persia, Chardin, who is protestant, is wary of superstition, unlike his companion (Antoine Raisin), but once back home is he as certain about his own secular convictions? DD: I created the character of Antoine in opposition to that of Jean. Chardin’s partner truly existed, but I invented his attraction for precious stones. To this day there are people who still believe that gems could have some medical virtues and other unexplainable qualities. Protestants are quite hostile to superstition, which was quite clearly stated in the writings of Calvin. I don’t believe in such superstitions either although I try to suggest some doubts in the reader. From a purely protestant perspective I therefore don’t think Chardin’s views differed much either. DK: Your previous book was also about another famed French traveler Nicholas Paquet. Have you travelled a lot in your lifetime and if so how has it shaped you as a person and your imagination as a writer? DD: Actually my great grandfather Nicholas Paquet didn’t travel much. He essentially controlled the safe circulation of steamers, which carried merchandizes back to Port. By the end of the 19th century travel by ship was still dangerous and often a waste of time. The boats belonging to my family went as far as Morocco and the Black Sea. The Orient obviously always attracted me. As the character in my novel " The Jeweller of Isfahan ", the fever of travel never leaves you. Obviously I always try to enrich my books with all the details I discover through observations of all sorts but writing demands focused concentration and therefore remaining still. As such It demands a discipline which is at odds with what we do when we travel for leisure. DK: I believe you also intend to release " Le Joaillier d’Ispahan "
(The Jeweller of Isfahan) in English but in the meantime when and where will it be available for French readers ? 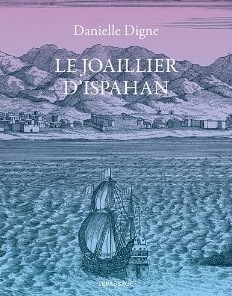 DD: Le joaillier d’Ispahan ( The Jeweller of Isfahan) will be published by Le Passage Editions (*). It will be out on October 6th, 2011 in most French Libraries. As far as an English translation is concerned, that will truly depend on the publishing house ready to acquire the rights. In the meantime if in Paris you are all cordially invited for the official launching of my book at an upcoming cocktail reception on October 13th at 7 p.m. at the following address: Galerie de Bayser, 69 rue Saint Anne, Paris 2eme. DK: Thank You Danielle for your time and for sharing with us your insights on Chardin and on your wonderful upcoming novel. About the Author: Darius KADIVAR is a Freelance Journalist, Film Historian, and Media Consultant. He has contributed to London Based IC Publications The Middle East Magazine and Persian Heritage Magazine In New York. He also produced documentaries for the London based Satellite Persian Diaspora Channel MANOTO TV.